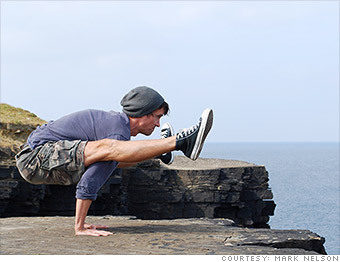 Mark Nelson, a yoga instructor and owner of The Yoga Garden in Philadelphia. What's great: For many yoga instructors, the ability to transform a person's day or how they live their life, both physically and mentally, is the best part of the job. "The connection with people is the best part of it for me, saying to them that they have challenges in their life, now they have challenges on their mat, let's bring them together," said Mark Nelson, a yoga instructor. --E.F.
*Salary data is based on Pilates/Yoga Instructors who work full time in the field, and that have a college degree and at least 7 years' experience. Many instructors work part-time in the field or have less experience, and may earn significantly less.